Affection for Keylor Navas came from all around, starting with the coach all the way to club president Florentino Perez in recent weeks, and it seemed to have paid off given the keeper’s performance against Osasuna. The Costa Rican responded by putting up a dominant display in goal on Saturday, coming away with three decisive interventions and showing that he is close to his best again, in both physical and mental terms. The shot stopper did try to find shelter from the press following a few poor performances, but the club’s leaders wanted the Costa Rican to be present last Thursday for the presentation of the book on the Undecima Champions Leauge win by Enrique Ortego. There he was, posing in a photo next to the Real Madrid president, who confirmed the confidence he had in his keeper in front of the cameras. Zinedine Zidane, far away from the journalists and spotlight, offered the same message, that yes, the starting spot was still his even in the always difficult Estadio El Sadar. The coach has already said on more than one occasion that he trusts his goalkeeper, even with Napoli in the Champions League looming. During the week, the Frenchman reflected how calm he is with Navas, the same attitude that was shown by the 30-year-old in more recent matches. Zidane has no doubts and knows what role Navas should play in this Real Madrid side, which will affect the upcoming transfer window once the campaign is over. Both Zidane and Navas are those who do not miss the occasion and can always review what happened after the match in a cool manner and the tactician was satisified despite a poor first half performance. He valued the reaction and desire after 15 days without competing, but Zidane wanted to analyse the performance before addressing Navas and the rest of the team. 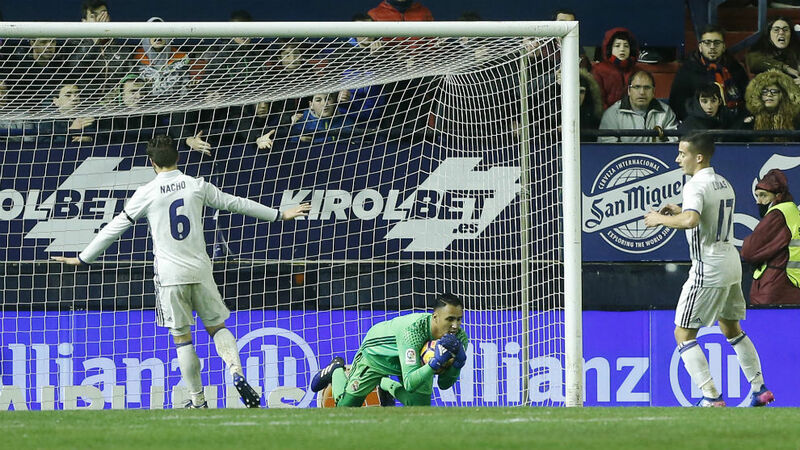 Navas believes that he could have done more in goal against Osasuna, but he returned to his best and demonstrated his quick reflexes that ensured that Real Madrid came away with all three points.